A convient set of storage bags for supplies and personal items. The set includes 3 bags of different sizes, one each of 6" x 13", 5" x 11", 4" x 9 ". 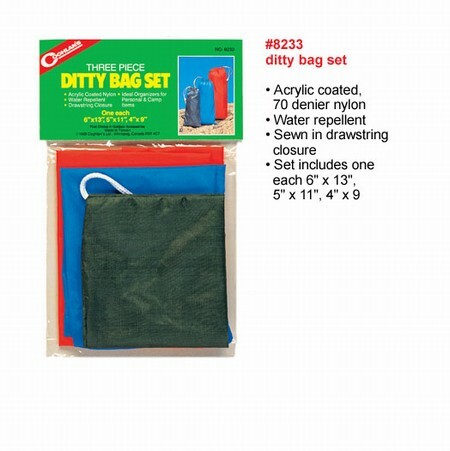 Made from acrylic coated nylon, the bags are water repellent with drawstring closures.